Think you know PHIPA? Ontario’s health-specific privacy legislation, the Personal Health Information Protection Act, came into force 11 years ago, on Nov. 1, 2004. To inform health information custodians and the public about their obligations and rights, we provide related resources on our website, including fact sheets, PHIPA decisions and anti-snooping materials. In 2006 we published a comprehensive guidance on PHIPA in the form of frequently asked questions, and this year we’ve updated it to include more in-depth coverage. 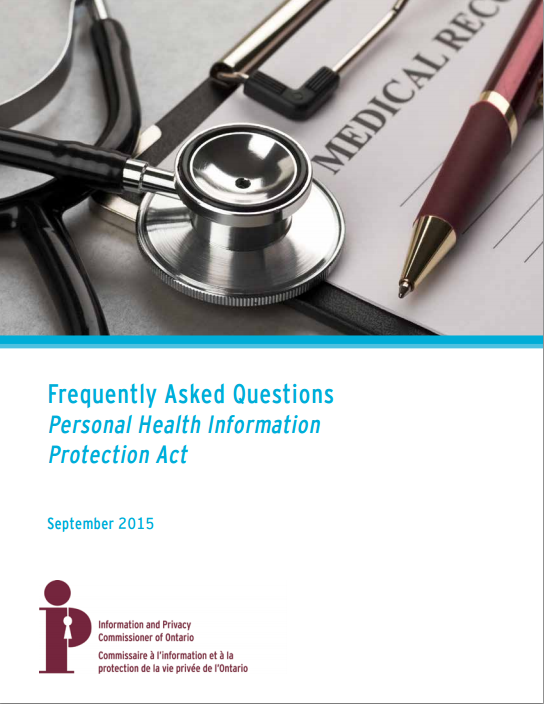 We’ve added questions that address such issues as disclosing personal health information (PHI) in an emergency, obtaining health records of deceased relatives and notification requirements in the event of a privacy breach. The FAQs also have a new look and feel, with cleaner, easy-to-understand, gender-neutral language. The FAQs are available as a downloadable PDF.